In short, the campaign was able to heavily optimize its advertising efforts by quite literally reaching into the privacy of Americans’ living rooms and understanding what they were watching second by second. While the data didn’t offer address-level resolution, as the Post description above notes, it was sufficient for the campaign to generate exquisitely high-resolution advertising models that achieved up to 20% greater efficiency. As the Times put it, the massive exporting of private user data triggered repeated alarms at Facebook due to the volume of profile data going out the door, but that “in each case the company was satisfied the campaign was not violating its privacy and data standards.” In all, through its data efforts, the campaign ended up with a database of 15 million persuadable voters. In Obama’s case, the original contributors at least explicitly knew they were contributing to a campaign effort, even if their millions of unwitting friends had no idea their private information was being harvested to attempt to sway their voting behavior. In Cambridge Analytica’s case, users knew only that they were contributing to an academic research project, but the line between academia and the corporate world is ever more blurred in the data world and it is routine for academic institutions to engage in corporate-supported research using data owned by the institution in the support of commercial agendas. Indeed, the claims that Facebook data was collected for academic research and then made available to a commercial enterprise are hardly unsurprising for anyone familiar with the processes and procedures at most top US research universities, especially their corporate funded research and their licensing and commercialization programs. 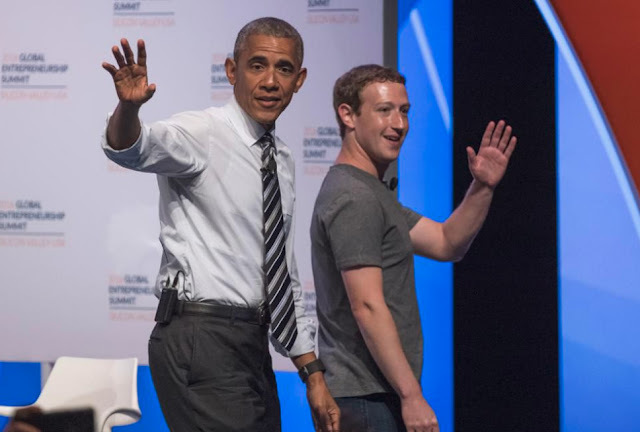 The only difference appears to be that in the case Cambridge Analytica case, Facebook claims that the data was gathered for academic research and then made available for campaigning, while in the Obama case the campaign was in charge of data collection from the start. Given the academic tradition, at least in the US, of corporate-funded research, it is likely Cambridge Analytica could easily have simply funded the necessary research directed at a university to ensure all usage was still considered to be academic in nature and avoided the whole controversy, to begin with. After all, in the case of the myPersonality project all users are required to register as “collaborators” and at least one Facebook data scientist is listed, suggesting the company has not historically been adverse to the sharing of bulk extracted datasets for research (though myPersonality appears to exclusively contain user submitted data, rather than bulk friend harvesting). I find it particularly interesting to see that Facebook offered no comment as to why Cambridge Analytica was not allowed to harvest data as they pleased, but the Obama campaign was basically given free reign. This bias seems to suggest a sort of favoritism and even subservience by Mark Zuckerber's company to the DNC. If such subservience does exist, this would explain the seemingly blind agreement which Facebook executives showed in their agreement and promotion of the supposition of fake news. When Obama made this strange speech using the fake news meme to (allegedly) target certain narratives of information which were disadvantageous to the DNC, Zuckerberg seemed to show no resistance and immediately offered to use his social media platform to remove certain subjects of discussion from users' posts. This blatant act of what appeared to be blind favoritism showed Facebook users some of the first signs that the platform was not merely intended for innocent social interaction. Instead, this platform was revealed to be a political tool of thought control. It appears to be true that to some extent, the Trump campaign somehow used this data from Cambridge Analytica as well. However, according to NYTimes, Trump intended to use such ties to entrap various politicians who were viewed as having criminal intent. The NYTimes article seemed particularly cryptic about the details of Trump's ties to the firm, and appeared to focus more on hypothetical scenarios instead of delivering any hard facts about ethical violations on the part of President Trump. Even still, if the Trump campaign did use this firm to take advantage of user data, these actions should be held to account as well. As stated numerous times over, we live in the age of change and revelation. The outdated standards of the establishment are no longer in line with the will of the people. Moreover, the ways of elitist tyrants are no longer tolerable in the eyes of the general public. We are learning to see these inhumane and violent standards of such individuals more and more. And as we do, we are all the more able to choose a better course for our society as a whole. We cannot say for certain what will come of the once-favored platform of Facebook. However, we can say that those who value free speech, privacy, and general respect for humanity may be searching for more preferable alternatives.